These classic cat-eye frames are perfect for a girl with a little edge. A classic pair of glasses for anyone looking to make a statement. For only $79, you can now own a pair of eye glasses inspired by London's iconic streets, Kensington Road. Today Glasses.com debuted it's newest collection of eyewear based on iconic looks from the country and dare we say ... maybe Harry Potter?! Doug Harris, Senior Director of Merchandising for Glasses.com explained his inspiration for the new collection saying, "While on vacation in London, I took a picture of a street in the city of Westminster called Kensington Road. 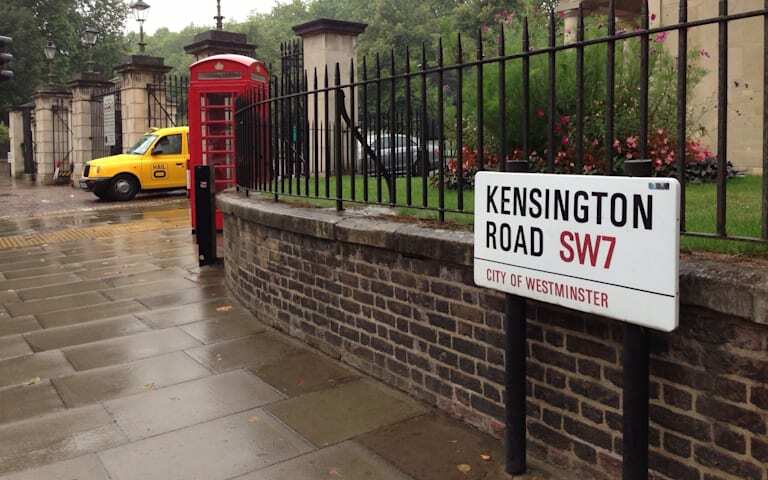 It was classic London in an entirely authentic way: a red phone booth and a taxi in the background of the road sign on a drizzly day. I came back to the office and plastered this picture all over the office and that was our inspiration for what became the Kensington Road collection." Check out the photo he shot below! We could not be more excited for these classic frames and as we mentioned before, for only $79 (with lenses) they are a steal! Click through the gallery above to see our 3 favorite from the Kensington Road collection and shop it now!